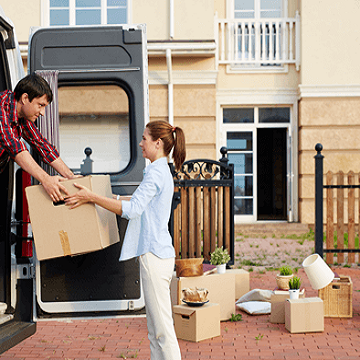 MX Removalists is among the most well-known removalists perth services. We have years of experience in the relocation industry, during which time we have helped over thousands of homeowners and businesses relocate. If you want hassle free removal services, you should look no farther than our removalists perth team. We are equally good in handling different removal jobs, such as house removal, interstate removal, office removal, piano removal, or pool table removal. Our removalists perth team can pack your stuff in high-quality eco-friendly cartons to help you minimize your carbon footprint. If you want, we can offer you a customized removal plan. Our removalists perth team will take care of everything, from planning to packing, loading to unloading, so that you have more time to do things you love to do. We use the latest removal vans and trucks and specialized equipment. Our removalists perth services are open all days of the year, and we allow you full freedom to select a moving date that suits you. There’s no shortage of “removalists Perth“ providers that offer cost-effective services. However, quality of their services is more often than not below-par. Similarly many providers offer top-quality removal services but charge a hefty fee in return. However, MX cheap removalists perth is cut above the rest. We offer you premium quality at affordable rates. You will be hard pressed to find a “removalists Perth“ team that can offer better value for money than us. Our budget removals Perth professionals are highly trained and experienced. No removal job is too difficult or complicated for them. Whether you need help with interstate removal, office removal, piano removal or pool table removal, you can count on our professionals to do a great job. Our removals Perth team follows a structured removal process and takes great care during the planning stage, because we understand planning a job correctly takes care of half of the problems. MX cheap movers perth team is available round the clock, throughout the year, and we move stuff across Australia. Whatever part of the country you are going to, we will take your stuff there for you. If you need, we can also provide you eco-friendly cartons for packing. House removalists Perth – Are you planning to move to a new house a few streets away? Or perhaps your new house is located in a different city or a different state? Well, you can count on our furniture removalists Perth team to take move your stuff to the new home, wherever in Australia it may be. Office removalists Perth – Relocating office is never easy. There are hundred and one things one you need to think about, right? Well, not when you hire MX furniture Removalists Perth. Our removalists Perth will take care about everything, so that you can focus on what you do best—running your business. Our removalists Perth team can move your servers and PCs and rest of the furniture and stuff with utmost ease. Furniture removalists Perth – Our team has years of experience of moving furniture of all kinds, so you can be sure of that they will do a great job for you as well. Interstate removalists Perth – We provide removal services throughout Australia. Whether you are relocating to a big city like Perth or Sydney or an out-of-the-way place, you can trust our removalists Perth team to carry your stuff there for you. Piano Movers Perth – Not everyone can handle piano removals, because piano are not only heavy but also delicate. However, you don’t have to worry at all when you hire MX Removalists because we have removalists Perth professionals who specialize in piano removal. Pool Table Movers Perth – Just like piano removal, pool table removal is a specialized job, but rest assured we are fully adept in this, too. Man with a Van Perth – For small jobs you can use our man with a van service, which is also a suitable option when you are relocating in the same locality. Quality Customer Service – Our customer service is second to none. Our customer service team is prompt, courteous and professional. MX Perth Removalists team takes esteem proud in their customer service. Moreover, MX Perth Removalist believes in Happy Customer More business philosophy. Initial Enquiry – This is the stage when you submit your enquiry with us. If needed, our movers Perth specialists will contact you back to gather more information before moving to the next step. On the other hand, if the information you have provided is sufficiently detailed, we will directly move to the next step. 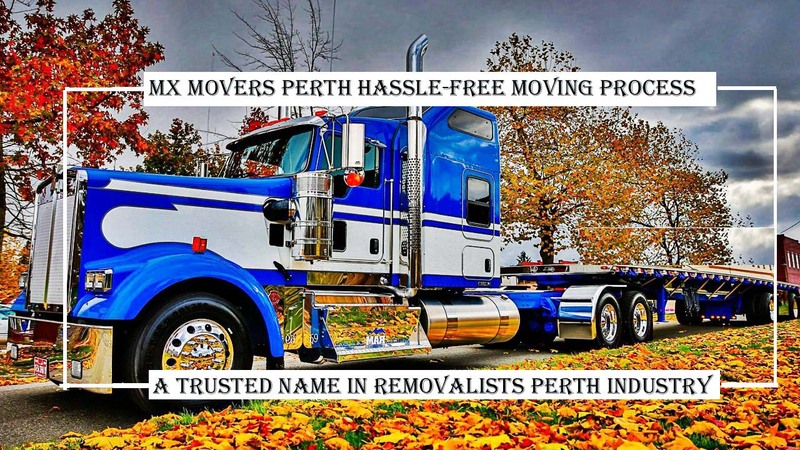 Free-of-cost quote – MX Movers Perth will provide you a free quote after evaluating your needs. Finalize Moving Date – In case you are happy with our quote and decide to hire us, MX furniture Movers Perth will ask you to select a moving date. You will have full freedom here to select a moving date that best suits your schedule. Next, we will ask you book the date with us. The ‘D’ day – On the moving day, our removalists Perth will reach you on time, and the first thing the foreman will do is brief you about the day’s proceedings. Our removalists Perth professionals will pack and load your stuff. You will be handed an inventory sheet to sign. In this sheet, all the items we have loaded will be mentioned. Request for feedback – Our job doesn’t end at unloading your stuff at the new location. MX Movers Perth will get in touch you after delivering your stuff to check if you need any further assistance. If not, we will request you to give us your unbiased feedback. Talented Staff – We thoroughly train our removalists Perth After all, we know how you value your belongings and would not allow just about anybody to handle them.